My usual Sunday photo montage will be a little late today. 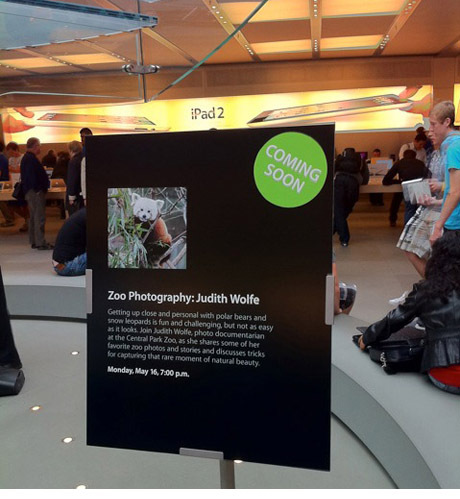 I am putting the finishing touches on my Apple in-store presentation for tomorrow night. Check out the photo that the Apple people sent to me. i’m telling you there’s a line outside of the apple store every evening up through the early hours of the morning lying in wait for Judy’s presentations.